Our latest addition to the Callero family of storage solutions has won a prestigious education award. The MakerSpace trolley, launched at the BETT fair in early 2018 under the banner “Creating spaces for creative minds”, is designed to respond to the growing trend for collaborative learning, especially in STEM and STEAM subject areas. Developed and manufactured by Gratnells at our production plant in Harlow, Essex, it reflects the growing trend to expand science, technology, engineering, arts and maths subjects in schools. 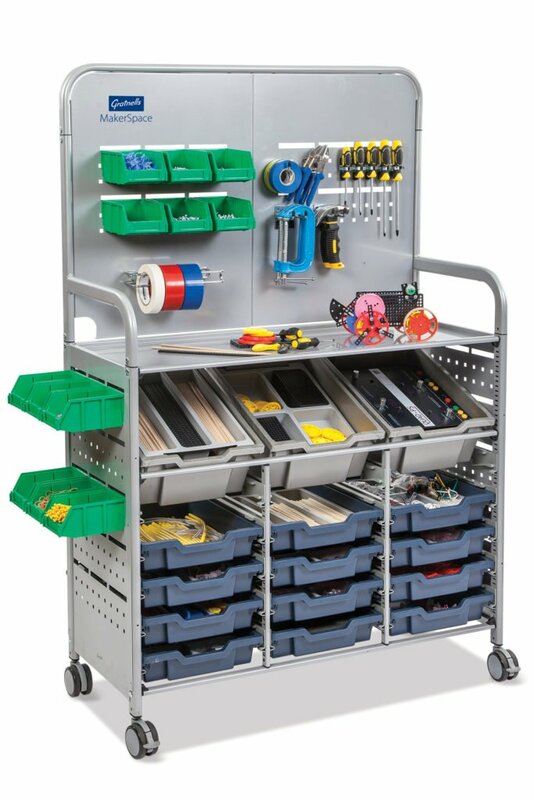 The MakerSpace trolley can be configured with a variety of tray and storage bin options to promote the self-selection of components used by students during STEM and STEAM activities. 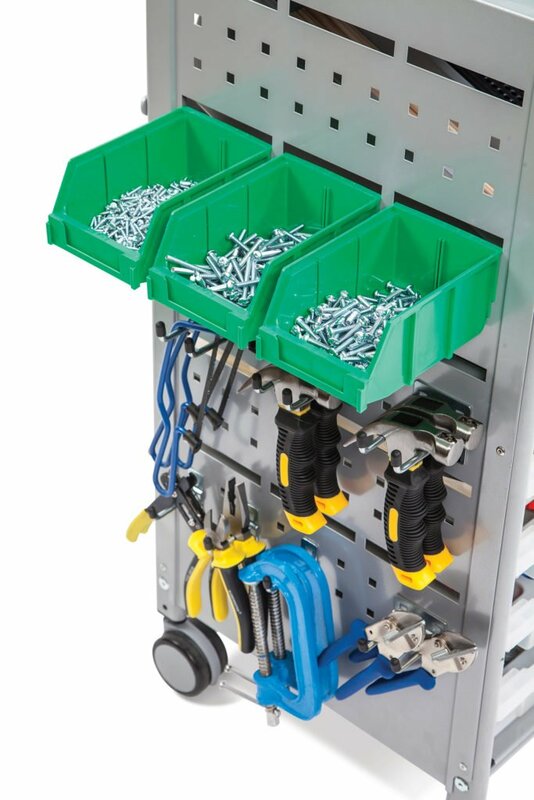 Storage pegs and clips can be fixed to the backboard and side panels in many arrangements reflecting industry solutions to organising tools and implements. With safety in mind, the trolley features a robust steel frame, large lockable castors, a solid work surface and easy cable management. The Worlddidac Awards are held every two years and are run by the global trade association for the educational resources industry, Worlddidac, to recognise innovation in educational products and solutions. Candidates for the award must pass an independent evaluation by a national teacher’s panel and present the features and benefits of their product before a jury of international experts in Bern, Switzerland. Announcing the award, Worlddidac found the MakerSpace trolley “to be a particularly praiseworthy educational solution, which can be highly recommended for use in schools”. The 2018 Worlddidac Award will be formally presented to Gratnells at a ceremony during the International Worlddidac Exhibition which runs in Bern from 7th – 9th November 2018.